The home furnishings boutique in Westmoreland offers a classically classy selection of refurbished vintage items, exclusive international brands, and locally made custom pieces. 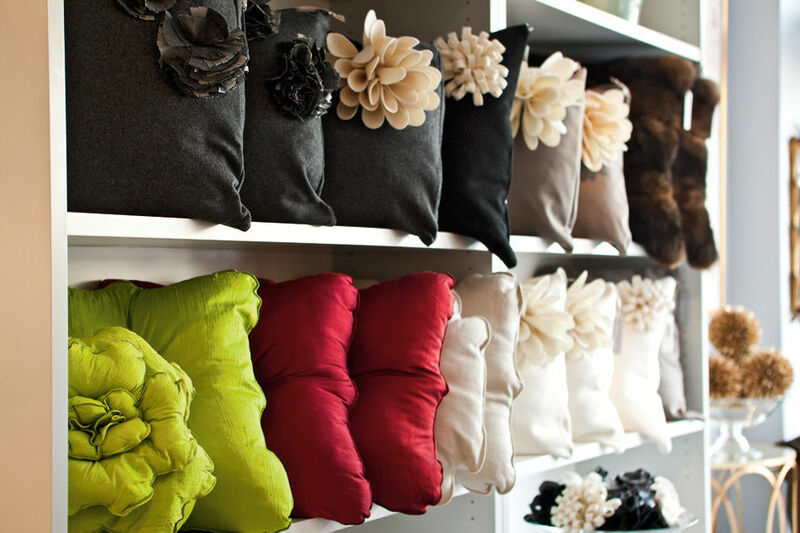 STEP OFF SE Milwaukie Avenue into the home furnishings boutique Ste. Maine and you would almost expect to find Grace Kelly there, sipping a gin and tonic on a velvet slipper chair. The Westmoreland shop’s mix of luxuriously refurbished vintage items, exclusive international brands, and locally made custom pieces evokes a bygone era of American elegance—think chaise longues and white monogrammed table napkins. It’s an aesthetic co-owners (and sisters-in-law) Elizabeth and Erin Manwaring call “modern glamour,” and they aren’t afraid to log many a mile searching towns and hamlets from Portland to Seattle for one-of-a-kind additions to their collection: gilded mirrors, delicate vanity stools, Deco armchairs. The California College of the Arts alums opened Ste. Maine two years ago and cut the ribbon on a larger storefront this past April. There, they also lend their lengthy design backgrounds to everything from kitchen remodels to wedding invitations to decorating for Christmas. “People come in all the time and tell us: ‘I wish I could live in here,’” says Elizabeth. And you practically can, since the Manwarings will sell or custom-make every part of their store design, from a pair of silk ottomans at the cash register to an original six-foot Carrera marble display table. They’ll even recreate Ste. Maine’s signature look in your living room, hand-delivering the art of living Grace-fully.